Lauren came to me the other day and announced that we were running low on chickens in the freezer. While I may be able to butcher a chicken faster than I can get in the van and run to the grocery store for one, I cannot fill my freezer as fast as the grocery store can. How many tomatoes plants do I grow for eating, canning for the winter months, and for the consumption by bugs? If I want a constant supply of beef in my freezer and it takes 18 months to grow out a steer, when do I call the local dairy to buy a bull calf, assuming they may have one available? So, when Lolo came to say we were running low on chicken, I needed at least 3 months before I could restock my freezer. I had to order my chicks and wait for them to arrive. Then the rest of the time in the chicken tractor in the pastures. Fed and watered daily, protected from predators. Taking care that they don’t grow too fast because their legs break easily and I need them to grow to full weight. Then we need to butcher, shrink wrap and place in the freezer – finally. So let’s do the figuring…. 2 chickens per meal for this family. Chicken once a week for meals. 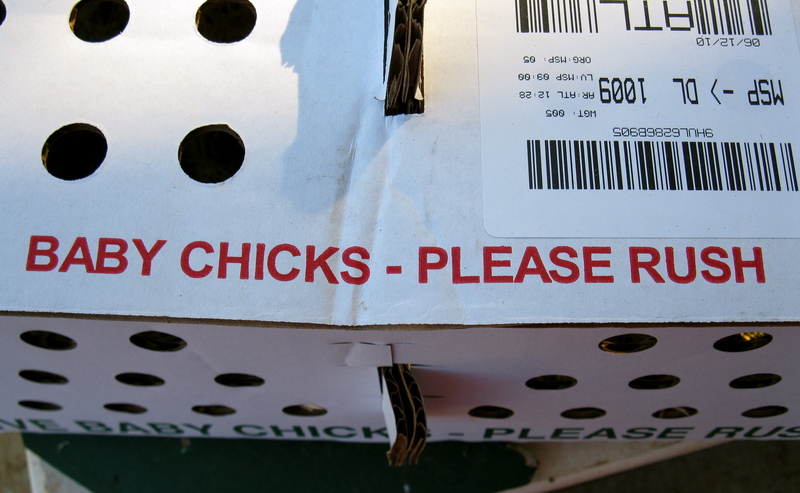 26 chicks in a mail order. Minus 2 for normal mortality rate. 12 -14 weeks for growing out chicks. 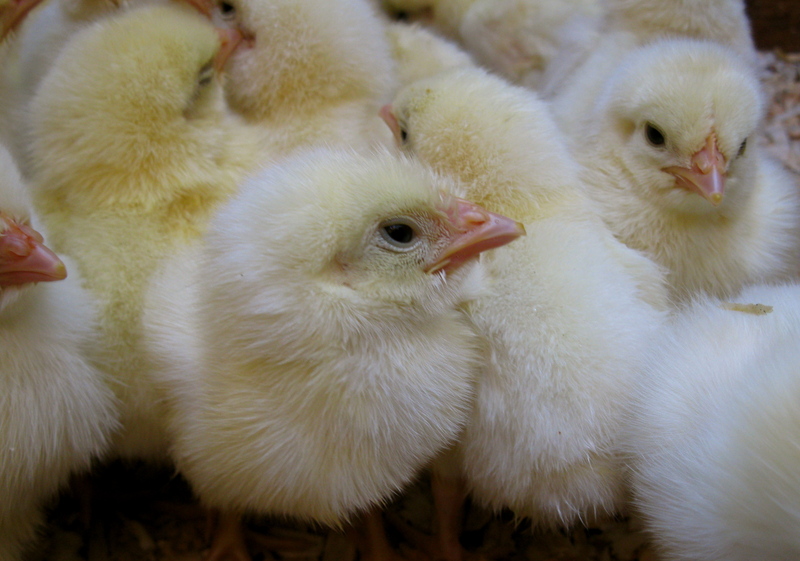 Order new batch of meat chicks every 12 weeks! If we want to eat all natural poultry, this is the commitment level I need for my family…and that’s all part of homesteading! Wow, Cyndi. Have you figured how much per chicken or pound your chicken costs? I know we do well with eggs… some people say not, but we don’t even sell the eggs yet, and I don’t think we’re “losing money”… not that that’s all that it’s about but… it’s still good to know…. I think $5/chicken is FANTASTIC!!!!! Where do you order your baby chicks? 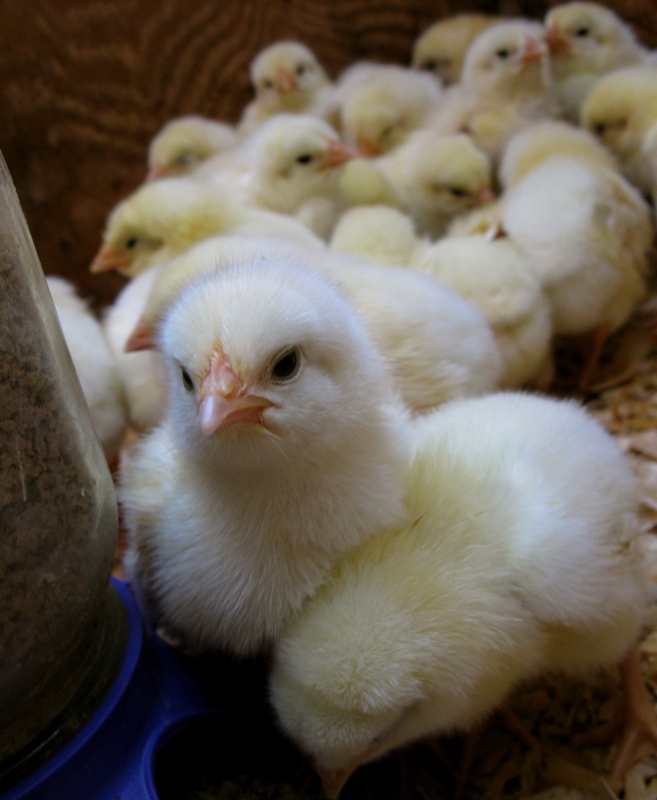 How much does it cost to feed them for the growing time period? Why do you only do 24-26 chickens at a time? We are very interested in doing this for our family. We still need to build our chicken coop and yard….oh and a brooder….WE live in Southwest MO and still trying to find out the proper way to keep them cool and warm. 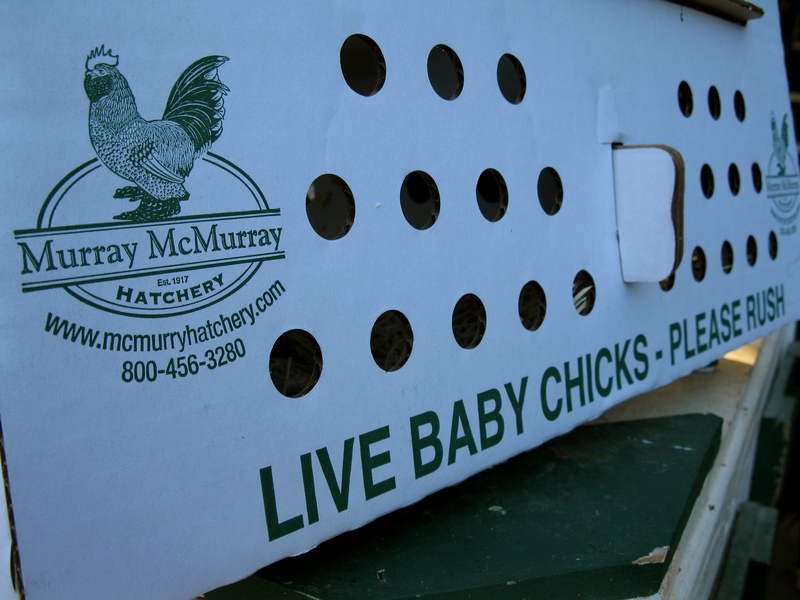 I order my chicks from McMurray Hatchery – the phone number is actually on the box in one of the pics 🙂 It ends up being about $5 a chicken by the time they’ve grown out. 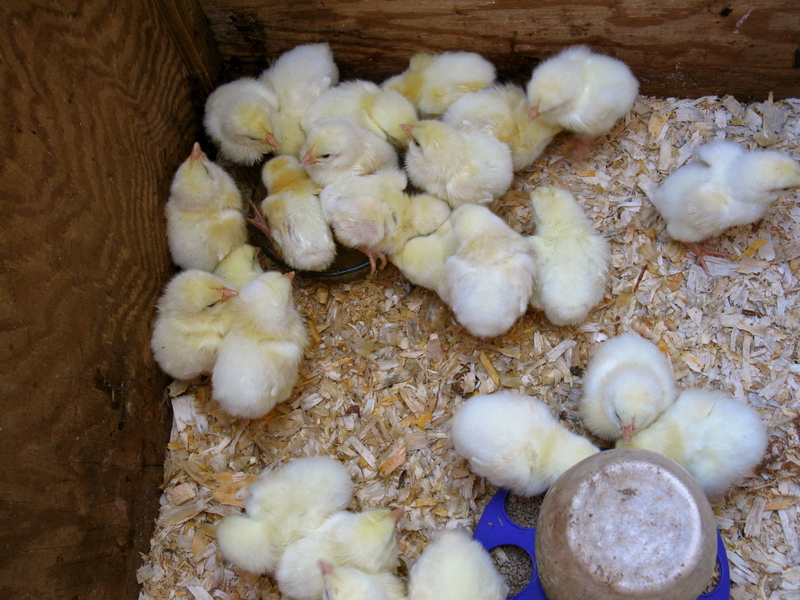 I make sure they don’t vaccinate or medicate my chicks before they send them. I only order that many because i’m usually the only one doing the butchering and 24 is enough for me to do at a time or in two days. Thanks for your comments – great questions!